ig Thanks! “It’s exciting to be recognized for hard work and perseverance for Omaha SEO company products/services. 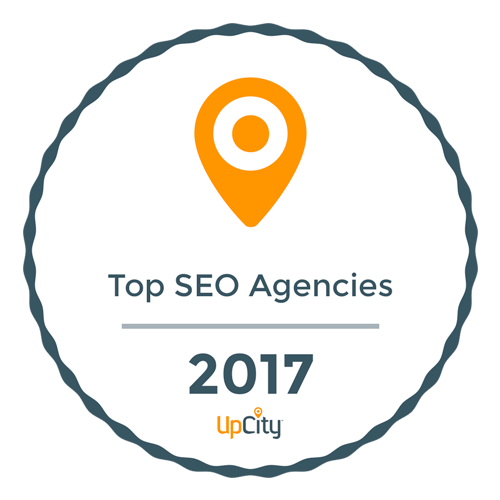 We owe it to our awesome clients,” said a thankful Susan Stern, owner of Stern PR Marketing after she learned that UpCity chose the company she owns/operates as one of the best SEO companies in the metro. “Who doesn’t like an award!” joked Stern. Stern PR Marketing of Nebraska is a creative agency concentrating on traditional and digital advertising, marketing, public relations and journalism since 2004. Search engine marketing [SEM] is one niche service Stern PR™ offers. SEO is abbreviated for SEARCH ENGINE OPTIMIZATION. Search engine optimization [SEO] is the process of improving the quantity and quality of Web site traffic from search engines via “natural” (“organic” and “algorithmic”) or paid search results. In layman’s terms, anytime anyone runs a search query, for instance, Google, Bing and Yahoo search engines return a mix of organic, location-based, and paid results. An SEO practitioner’s task is to implement methods to achieve high Page rank for Brands. Google owns all trademarks/copyrights. Stern PR-created mock up is ‘fair use.’ Format complies with Google specifications. Organic search results are Web page listings that may closely match what the user searched. 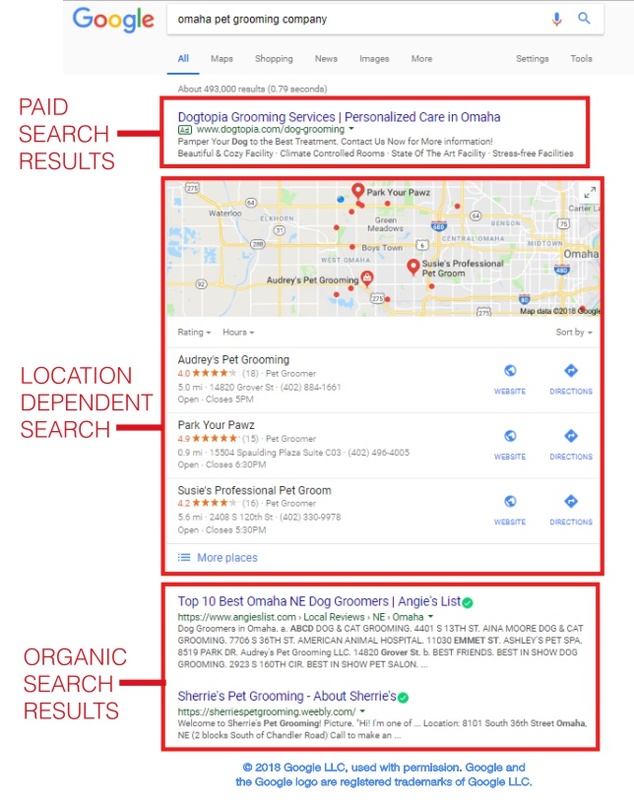 Geo-location Business listing results like Google Places display based on where the person running the search is located to the organization searched. Paid search engine marketing results are advertisements an organization owner pays to third party search engines, business listing and social media websites to display when someone searches for particular keywords. In search, pay-per-click [PPC] “sponsored ads” appear above or to the right of organic results, shaded in color and bordered. Stern PR™ engages in all types: organic, geo-location-based AND paid search engine marketing [SEM] services/products for clients under monthly maintenance plans. What works best? Organic SEO and management of geo-location listings have the highest value, she argues. Both tend to “hold natural position longer” than forking over $ to search engines for paid ads. In terms of click-thru-rates [CTR], most people trust Organic and geo-location listings to pay-per-click, research and common sense shows,” says Stern. Stern PR™ focuses on penning great copy for each Brand we manage – information-rich custom writing, eye-catching graphics, video and photography. “From our experience, search engines tend to reward Web Pages in search that concentrate on news & information rather than promotion,” says Stern. “We do what →Google recommends. We key into hot topics, rather than focus solely on the process to boost Page rank. The news & info we cover on a client’s website and social media platforms are often educational, rather than merely promotional, using a mix of journalism, PR, and marketing,” said Stern, a former on-air TV and radio journalist. A 2017 survey shows 97% of consumers search online for a local product or service company each year, with 12% looking every day, according BrightLocal, a California-based, global software automation provider. 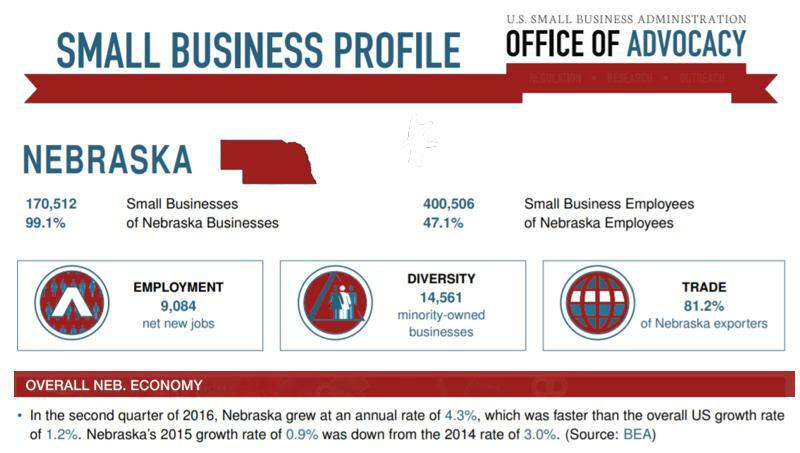 With a whopping 170,500 small businesses engaging in commerce in the state, 99 percent of entities overall, as SBA statistics show, the need for online Brand asset exposure is high. The process of building and maintaining Page rank for Web sites, social media and business listings require a digital marketer’s expertise. Finding the right Omaha SEO company provider for Brand management is vital to success. ” We think the 2017 UpCity reward naming Stern PR™ as a top metro Omaha SEO agency demonstrates the high value we provide to the market. For that acknowledgement, we are thankful. 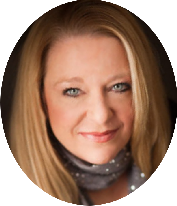 We look forward to helping start ups and established organizations grow,” emphasizes Stern.